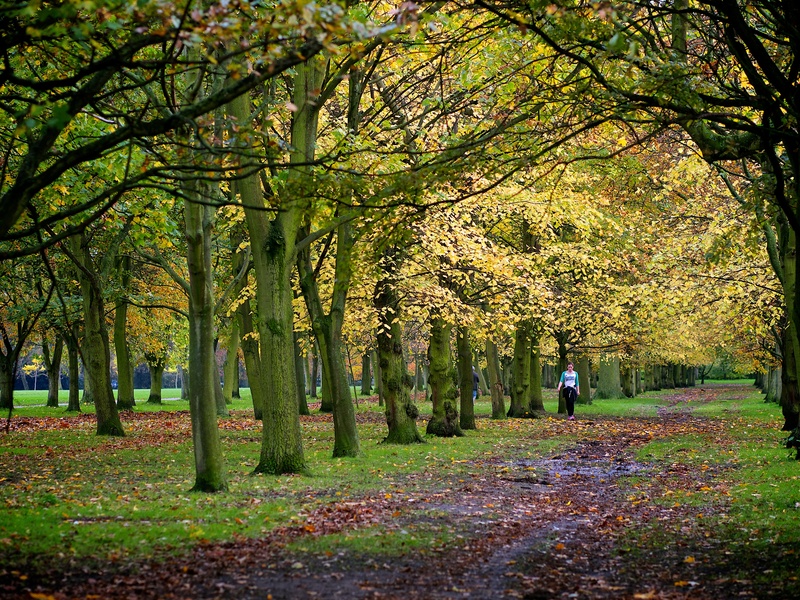 Hold on to your hats, it’s another Autumn picture in Regent’s Park! That means more greens, browns, and yellows, on a muddy day. It’s been so wet recently that even the trees are green. Thanks Nancy! I’ve been here for quite a while now and feel lucky to live near enough to Regent’s Park that I can call it local, yet I’ve only been to Hyde Park a handful of times – I must visit it more! Were you here for long? By the way, I’ve entered you for the London marathon. Don’t worry, thank me after. I was living in Oxford Gardens/Ladbroke Grove for a year. I’m pretty sure running just one half marathon doesn’t qualify me for the London Marathon 🙂 But someday i will…for sure! This is a beautiful photo; thank you for sharing! It’s been snowing the past few days where I live, so this picture is making me extremely nostalgic for fall weather. I love it! I’m actually looking forward to the snow – we didn’t have a single flake last year – but I’m sure that within a day of it being here I’ll be wishing it was gone!